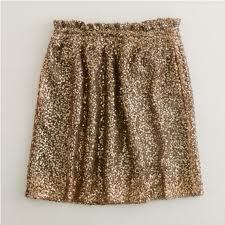 After my week in New York, something has become quite clear - sequins are going to be making a come back. 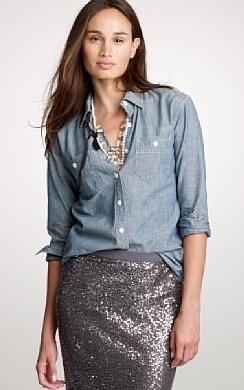 US based giant J Crew is like their Zara for the slightly richer (although our Zara is slowly taking over) and ever so often they come up with a must have piece. It's £200, so I am really sorry to do this to you - and I'm sure someone in the UK will come up with something just as good. 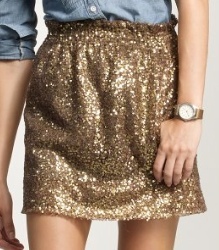 I saw this skirt about 50 times when I was out and about in Manhattan and bought myself the bronze coloured one. Went with bronze as my lovely friend Lilli sent me her trend report for the next 18 months, and it seems bronze it going to be a good one.